It’s just past 8:15PM and I can hear the oil on the stovetop simmer as my mother begins preparing our meal for this evening. I am standing near the window waiting anxiously for the sun to set. Before I go to wash up for Magrib, the evening prayer, I take out dates for each one of us to break our fasts with. Dates are the traditional means for one to break their fasts in Ramadan. Little is known about where these dates came from and how such a small treat causing a smile on my face is the symbol of hardship and struggle for so many others. Palestinian child on an Israeli settlement farm. 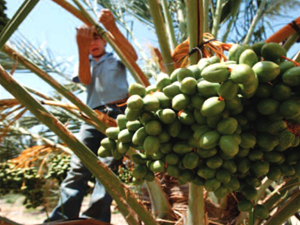 Israel produces over 30,000 tons of dates annually and earns $265 million a year from exports. Over half of these dates come from illegal settlements and are grown on land stolen from Palestinians. The Human Rights Watch 2015 report “Ripe for Abuse: Palestinian Child Labor in Israeli Agricultural Settlements in the West Bank” estimates during the summer season – when it is the busiest and children are not in school – up to 1,000 Palestinian children work in Israeli agricultural settlements. The children aged as young as 11 are paid low wages and exposed to hazardous working conditions. The children who come to these settlements have left behind school and their dreams. They come from families that are often underprivileged and poor. They get introduced to working on the settlement via a middleman who often takes a portion of the children’s already low wages. In addition to low wages, the children and workers work in the blazing sun, carry heavy loads, and are under pressure not to take bathroom breaks. Such conditions often result in work-related injuries or illnesses whose treatment the workers and children pay for themselves. The campaign, which is an answer to the 2005 Palestinian call for boycott, divestment and sanctions, is geared toward American Muslims, one of the largest consumer groups of Israeli dates in the United States. Our goal is to educate and raise awareness about how settlements detrimentally impact Palestinians and to encourage people to embrace BDS, a tool to force Israel to comply with international law. Szremski also shares how successful the campaign has been. Last year, a social media campaign reached 1.6 million people in one hour and the organization distributed 20,000 postcards bearing the boycottable brands across the country. 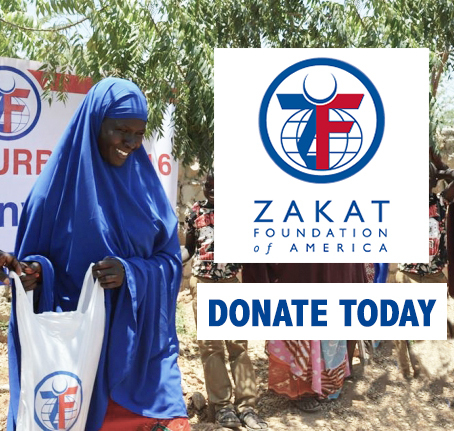 This year, even non-Muslims are requesting date boycott materials, which have been shipped to several states so far. Boycotting Israeli dates has reached all over Chicagoland. Dania, former president of Students for Justice in Palestine at Columbia College says “the campaign is a great way to educate people, especially Muslims, when they purchase dates for the upcoming Ramadan.” As many grocery stores prepare for Ramadan, many carry only Palestinian dates on purpose. For those who wish to participate in the boycott, Hadiklaim is the Israeli Date Growers Cooperative that sells Israeli dates under these brands: Jordan River, Jordan River Bio-Top, King Soloman, Tamara Barhi Dates, Desert Diamond, Rapunzel, Bomaja, Shams, and Delilah. Rather than purchasing dates grown in Israel, many grocery stores in the Chicagoland area are selling dates that are made in Bard Valley, California. Other alternatives include dates that are confirmed from Palestine, Tunisia, Saudi Arabia, or Morocco. The best advice is to read the label. Hadilkaim also supplies Israeli dates to many supermarkets to sell under their own name. Many are also labeled “produced in the West Bank”. These dates are not Palestinian and are grown on illegal settlements. AMP has also made educational materials available to the public for free. All are available to download here.